When it comes to buying a 70cc Dirt Bike or 70cc Pit Bike to trust with your life; WHO you buy from is just as important as WHAT you’re buying! Please CLICK HERE to understand why. 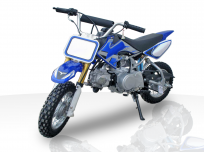 The 70cc pit bikes and 70cc dirt bikes for sale from Joy Ride Motors are the perfect choice for any young rider interested in a professional riding/racing career. Featuring powerful 4-stroke engines with exhaust control systems and semi-automatic clutches these lightweight and inexpensive (but not cheap) 70cc dirt bikes are ideal for learning the ropes. Designed for dirt bike riders at every level, you could get one for every member of your family. No more boring vacations for your family! Rugged, sturdy, and reliable, our 70cc dirt bikes and pit bikes are not for the weak. Believe us when we say, these 70cc dirt bikes are a blast! You will have so much fun whipping around the back country, over dunes, through roughage and everywhere in between – there will be no time to think twice about where you go next. The maximum speed of our 70cc dirt bikes is around 40 MPH, which is more than enough for younger kids. You won’t miss out on any power or speed when you see how much enjoyment they get out of their dirt bikes. In the selection of 70cc Dirt and Pit Bikes below, you’ll find our most popular sellers from; Roketa Dirt Bikes & Roketa Pit Bikes, SSR Dirt Bikes & SSR Pit Bikes & Ice bear Dirt Bikes & Ice Bear Pit Bikes, which all have a proven track record for safety, quality and performance. We ‘cherry pick’ the very best models from all our vendors’ product lines, which come fully assembled, for the best price online. If you ever feel the need to upgrade, we have many other dirt bikes for you to enjoy. 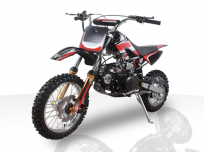 In addition to our 70cc dirt bikes and 70cc pit bikes for sale, we also offer 110cc dirt bikes, 150cc dirt bikes, 125cc dirt bikes, 200cc and 250cc dirt bikes. And for all your in-city riding, we have a great variety of motorcycles and scooters to choose from. All of our motorcycles, scooters, and dirt bikes are available at the lowest prices online, with shipping and handling ALWAYS included. There are no hidden charges or fees. At Joy Ride Motors, the price you see is the price you pay. Help is just a quick call away to get set up with the bikes you need for you and your family. Contact one of our friendly and knowledgeable representatives today toll-free at 877-300-8707. Joy Ride Motors' 70cc dirt bikes for sale are an amazing value that is inexpensive but not at all cheap!